A brochure on the Triumph 2.5 PI, Mk.2, produced by Marketing Services of Rover/Triumph, won a national award recently. It was runner-up in the four colour section of the competition and was printed by Nuffield Press Ltd., Cowley, a member of British Leyland Motor Corporation. 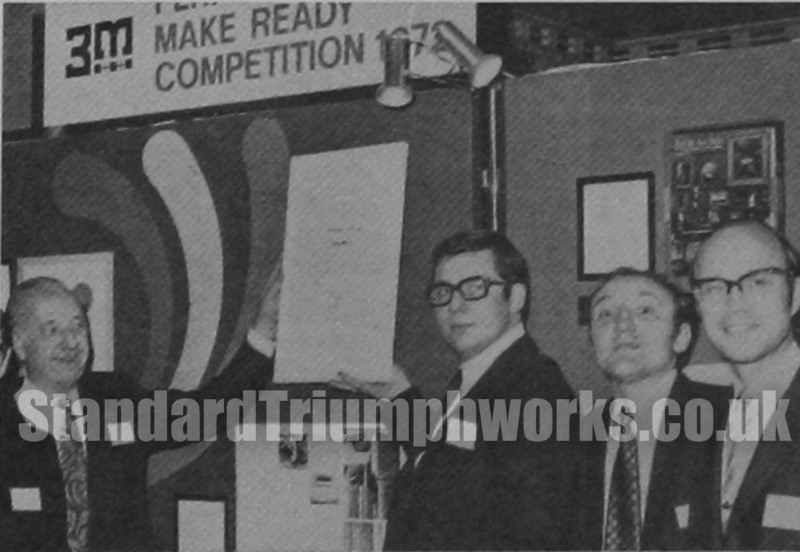 (L to R) Mr Jack Field, General Manager, Nuffield Press, Cowley, and Mr Ian Burton, Publicity Production Contoller, Triumph, with the printing.